Wildfires ravaged northwestern Colorado this summer, with at least three fires in Routt and Moffat counties. Steamboat Springs-based electric co-op, Yampa Valley Electric Association experienced the harsh effects of the lightning-caused Moffat County Pine Tree Fire, which was not well-contained until mid September and the Winter Valley Fire, which was spread quickly due to 50 mile per hour winds. 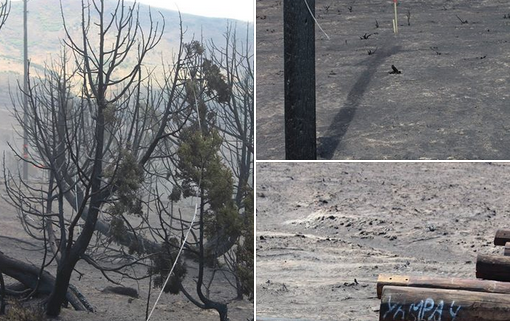 The Pine Tree Fire caused significant damage to the YVEA power system. Fire officials allowed co-op crews into parts of the 4,700 acre burn area to assess the damage to their lines and equipment. 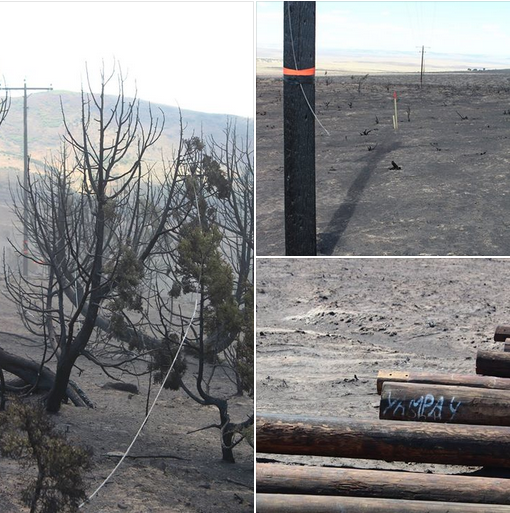 YVEA had over 30 members without power due to the fire, but the co-op crews and contractors worked in extreme and challenging conditions to restore and replace the damaged infrastructure to their system. In addition to the 2 to 3 miles of overhead line that needed to be repaired, there were 33 utility poles that needed replacement, 13,200 feet of damaged aluminum conductor cable and two melted meters. The repairs will strengthen the transmission system and increase reliability in that area. The Winter Valley Fire, which spread to 7,800 acres, took out the three-phase line into Lily Park. In both cases, the system was rebuilt with shorter spans between poles and an improved and strengthened infrastructure. This will mean fewer outages for members in these areas going forward and better reliability.